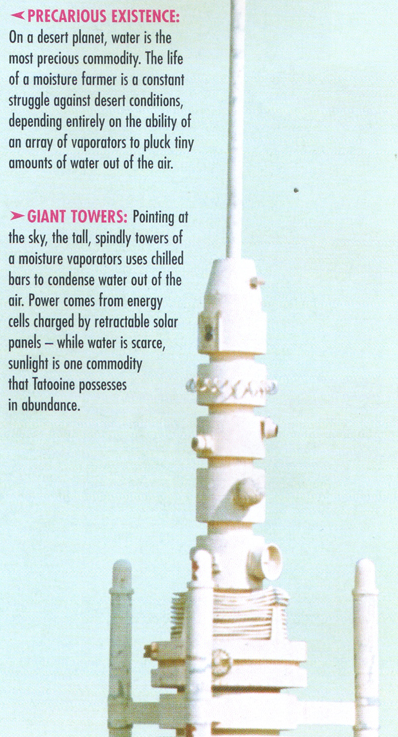 On Tatooine outside Luke's house, there are these small tower-like objects outside Luke's home. There are 3-4 of them. 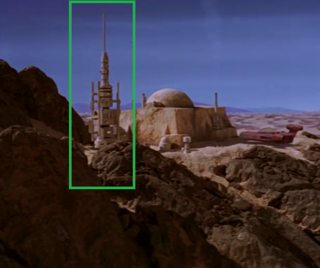 The same thing can also be seen outside of Obi-Wan's house as well. What are these and their purpose? 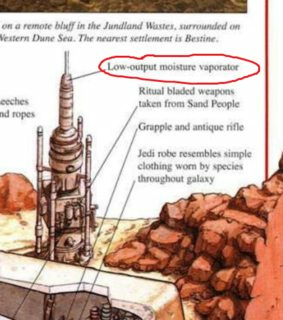 Those are moisture vaporators. These are quite literally the entire point of the moisture farm, to collect atmospheric water vapor. 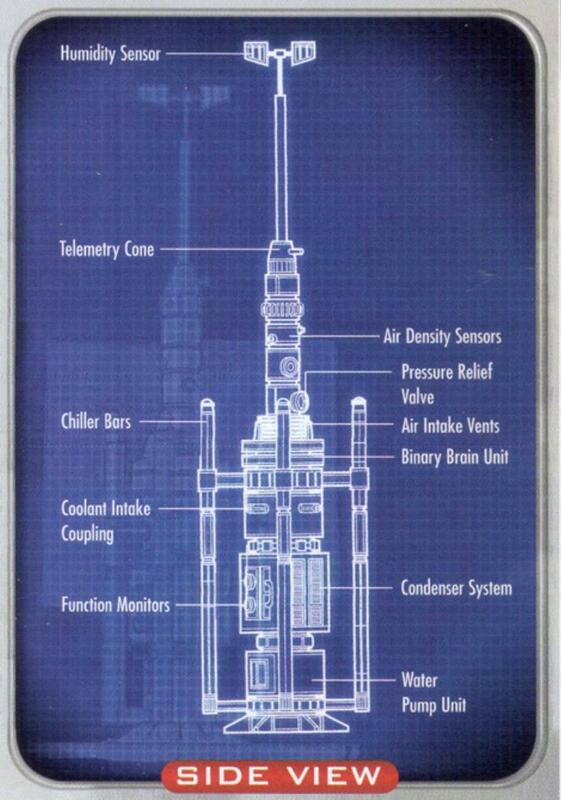 According to the Star Wars: Official Fact Files, a single vaporator can collect 1.5 litres of water per day. The one outside Ben's house (an abandoned moisture farmer's hut) is a low output vaporator, one suitable for a single house. Not the answer you're looking for? 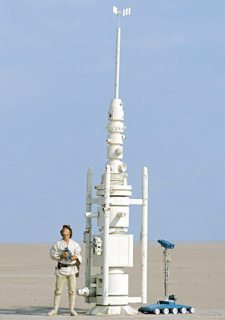 Browse other questions tagged star-wars a-new-hope object-identification or ask your own question. 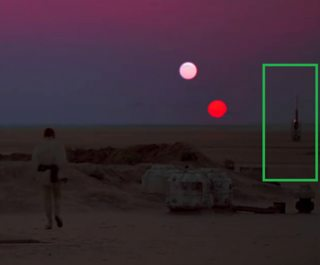 Who decided to burn the Jawas, and why? What kind of helmets are these? Did Obi-Wan ever lie to Luke? Who exactly killed Luke Skywalker's Aunt and Uncle?